We're bringing the Best MMA fighters from all over the Nation both Amateur and Professional! We take the best Northern Fighters and match them against opponents from anywhere and everywhere. 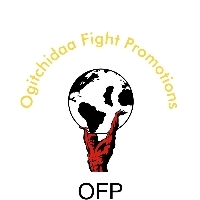 This event is Sanctioned by the Great State of Wisconsin, and promoted by Ogitchidaa Fight Promotions. Fights will start at 6:30 P.M. central time, and finish around 10 P.M. Subscribe now for just $5 and watch the live event and the cleaned up Video on Demand of every show we have!